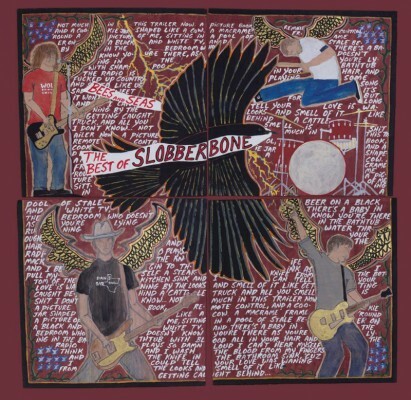 Texan roots-rockers SLOBBERBONE have their career revisited on a new compilation album out on 1 April. The Best Of Slobberbone – Bees & Seas compiles tracks from the band’s four albums – Crow Pot Pie, Barrel Chested, Everything You Thought Was Right Was Wrong Today and Slippage – and comes complete with sleevenotes by Patterson Hood of DRIVE-BY TRUCKERS, packaged in a sleeve designed by Will Johnson of fellow Dentonites CENTRO-MATIC. Released through New West Records, the album is available in double-CD, double-vinyl and digital formats and can be pre-ordered now through the band’s website. Formed in the early 90s out of the same fertile Denton scene that also spawned LIFT TO EXPERIENCE, THE RIVERBOAT GAMBLERS and BAPTIST GENERALS, Slobberbone fused muscular rock, hillbilly-punk and navel-gazing slacker balladry, topped off by Brent Best’s brilliant storytelling lyrics of mundane, dysfunctional and often quite grim blue-collar lives. Frequent visitors to the UK and Europe, the band split in 2005 only to reform in 2009 for a tour. A new album was promised but with guitarist Jess Barr quitting in 2014 and Best releasing a solo album Your Dog, Champ last year, Slobberbone remain dormant. 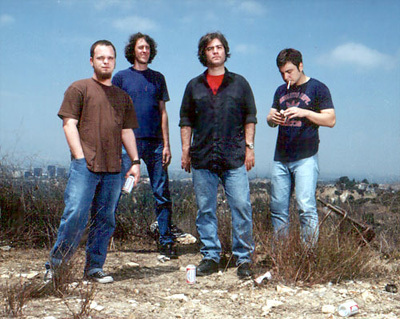 Check out this fan-shot live video of Slobberbone playing their REPLACEMENTS tribute, ‘Placemat Blues’. ‹ PENETRATION RESOLVE TO TOUR!